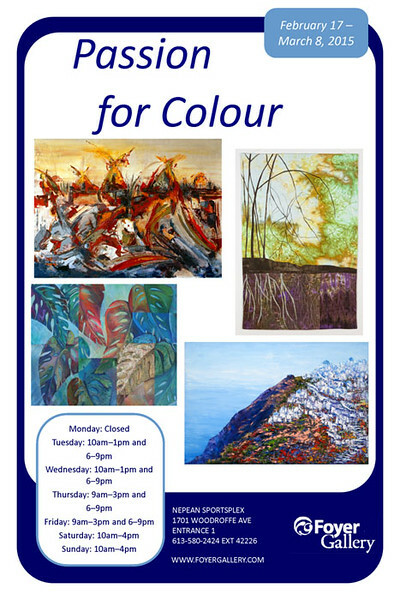 The current show at Foyer Gallery is titled Passion for Colour. I’m late in announcing this one as I have been away. It started on February 17th and continues until March 8th, so you still have the rest of this week to attend. This show is a group show featuring work by most of the members of the Foyer Gallery. Each member presents several pieces of work depending on size and I am showing three framed prints. I didn’t make it on to the poster unfortunately. View the three of my images in the show. Passion for Colour runs from February 17 to March 8, 2015. Also, check out the Foyer Gallery’s new Twitter Feed. This picture was taken from a camera rig suspended below a kite (Kite Aerial Photography – KAP). 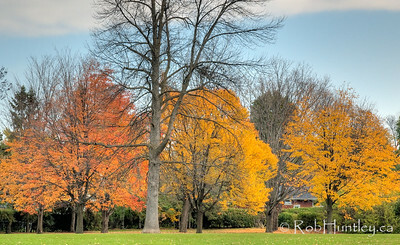 Like Rob Huntley Photography on Facebook. Westwood Park is in the Carlingwood area in the west end of Ottawa, Ontario. It is at the intersection of Saville Row and Sherbourne Avenue. For a number of years I have remarked to myself on the beautiful fall colours and compositions that are available at the back end of the park. Finally this year I chose to ‘not’ drive past as I have done many times in previous years. 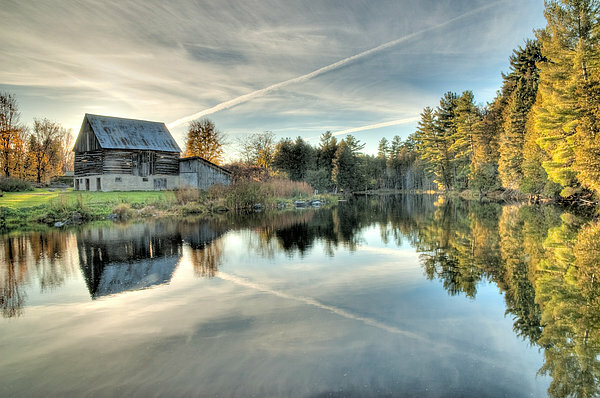 These images were shot on November 1, 2011. This is late in the year for fall colour in our area. For the past few years autumn has seemed to last relatively long. No complaints. Nice weather, great colour and less winter. Westwood Park is in the Carlingwood area in the west end of Ottawa, Ontario. It is at the intersection of Saville Row and Sherbourne Avenue. 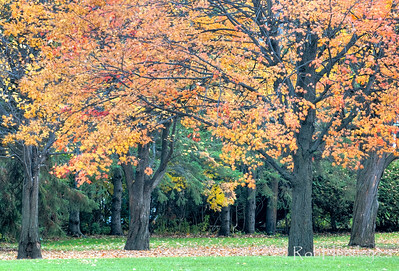 Autumn colour in Westwood Park, Ottawa. Reds and yellows. 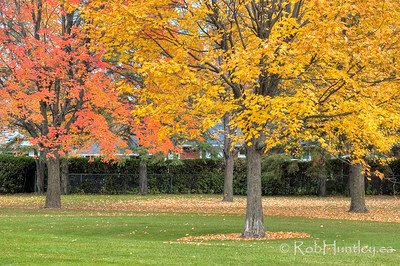 Fall colours in Westwood Park. Click on any image to go to the same image on my website to view larger or purchase. 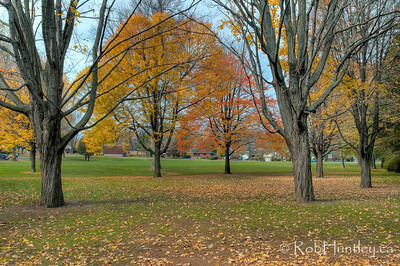 You can see additional pictures from this session included as part of my Trees and Leaves Nature Gallery. These low-level aerial images were taken from a camera suspended below a kite line (Kite Aerial Photography – KAP). 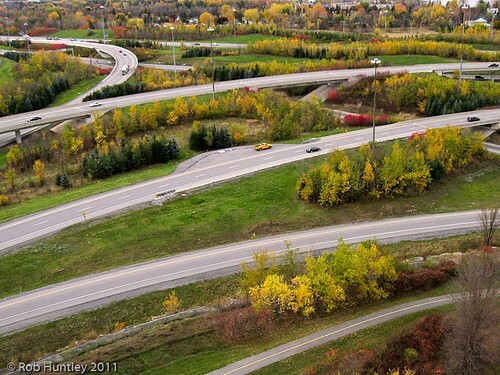 Aerial view of Highway 416 as it splits to connect with Highway 417 in the west end of Ottawa. Bicycle path in the foreground. Aerial photography taken during a session at Shouldice Berry Farm on Richmond Road in Ottawa. Aerial photography taken during a session at Shouldice Berry Farm on Richmond Road in Ottawa. The roadside store on Richmond Road can be seen and the pumpkins for sale lining the parking lot. Across the road you can see Queensway Carleton Hospital. 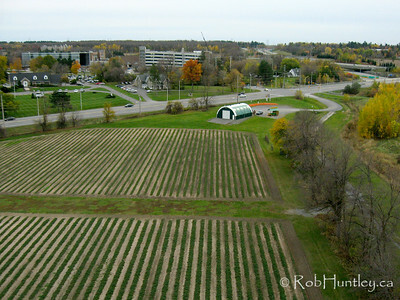 You can see additional pictures in the Kite Aerial Photography Gallery – Shouldice Berry Farm – October 27, 2011.